We value each and every member of our community, and the contributions you have all made to the success of Brass Goggles. Hosting Brass Goggles costs $720 per year at current levels, not to mention the time and love donated by our moderators and admins to keep the site running, spam-free, and civil. If you wish to support this effort financially (and thus keep the site ad-free), you can donate any amount using PayPal by clicking the button below. It’s helpful if this is at least $3, else fees eat most of your gift. You don’t need a PayPal account to do this: just a credit card. You can make a monthly donation of $3 US automatically by using the subscription button below. You can unsubscribe easily by visiting this page and using the unsubscribe button. At the moment, you don’t get anything but a warm fuzzy feeling from subscribing, but there might be subscriber-only features in the future. Don’t subscribe hoping for anything special though — subscribe only because you want to support the site. 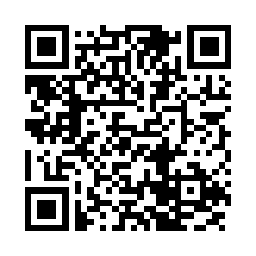 We also accept BitCoin, by sending to the Brass Goggles Donation wallet (1LihGgsFWtH1QiiW1bREQu8gUuMKajrnTC), or scanning the QR code below on your Bitcoin-enabled Android phone. Brass Goggles requires far more robust hosting than any of the “unlimited” hosting plans you see: our Co-located hosting costs $720 per year (We’re at step three on the Five Stages of Hosting). Donations are primarily used to pay for that hosting and associated fees that keep Brass Goggles up, running, and ad-free. We try to keep “in the black” so that we can afford to upgrade our web hosting plan as needed. If we have significantly more than we need to keep our web hosting in place (that hasn’t happened yet…), we’ll use donations to support Brass Goggles in other ways: paying for professional design services, running contests, supporting the Steampunk community, etc.. This might be anything from promoting Steampunk events to helping an admin or moderator (who donate their time for free) replace a broken computer, so they can continue to volunteer. If you want to know more, send a private message to ‘proteus’ on the forum. We’re not tax experts, so you’ll have to get tax advice from someone who is an expert. We can tell you that donations are almost certainly not tax-deductible — Brass Goggles does not have a corporation or charitable non-profit status. How do I know you won’t just take my money and run? It’s entirely a matter of trust. The site admin (proteus) handles all the finances personally, so your donations are simply gifts to him that you trust him to use to support the site. He keeps pretty good records of how much money is donated and how it gets spent – post a message to the Engine Room on the forum if you have questions about this. If you have other questions, feel free to post them in the Engine Room on the forum, or send a private message (PM) to proteus.